SINGAPORE — HARMAN Professional Solutions today announced a new engagement initiative aimed at forging deeper connections with enterprise and entertainment industry customers worldwide. The newly announced HARMAN Customer Experience Centre will allow visitors to explore the latest innovations and learn how HARMAN technologies are being connected in new and exciting ways. The new Singapore HARMAN Customer Experience Centre opened in late 2016. The HARMAN Customer Experience Centre gives visitors specific insights into HARMAN Professional Solutions, including category leading brands such as JBL, Crown, Soundcraft, Studer, AKG, Martin, AMX, BSS, dbx, Lexicon, and more. Customers will be able to explore a wide variety of solutions, test proof of concepts, consult with specialists and experience HARMAN technology in real-world scenarios. The centres will also host live product demonstrations, as well as special events. The Singapore location will develop the theme of “Engineering a Connected Enterprise” by inviting customers to learn how the world’s foremost venues, theaters, recording studios, commercial facilities and hospitality spaces use integrated HARMAN products and solutions. 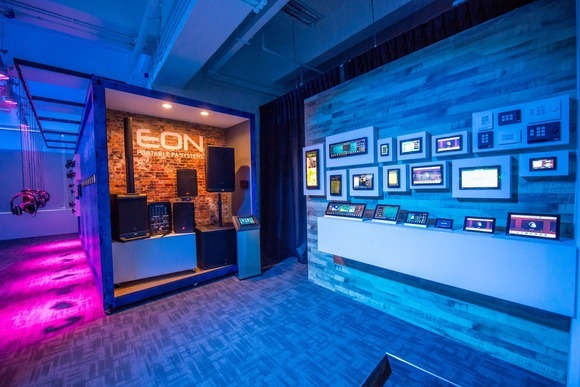 Through interactive touchpanels and live demonstrations, guests can experience the latest in networked AV, broadcast 4K video and other audio, video and lighting technologies. Professionals interested in HARMAN’s end-to-end solutions may contact R.V. Ramachandran at RV.Ramachandran@Harman.com to make an appointment to visit the Experience Centre.